Coming from north: Take the motorway A22 to the exit Klausen/Chiusa and follow the signs Castelrotto/Alpe di Siusi to Ponte Gardena. At the roundabout take the first exit on the right and continue in the direction of Castelrotto. At the junction Telfen/Lanzin turn left and drive through the village of Castelrotto always staying on the main road until you pass under a bridge. Take the next left turn and you have arrived at the Hotel Garni Savoy*** in Castelrotto. Coming from south: Take the motorway A22 to the exit Bolzano Nord and follow the signs Castelrotto/Alpe di Siusi to Ponte Gardena. At the roundabout take the first exit on the right and continue in the direction of Castelrotto. At the junction Telfen/Lanzin turn left and drive through the village of Castelrotto always staying on the main road until you pass under a bridge. Take the next left turn and you have arrived at the Hotel Garni Savoy*** in Castelrotto. We are happy to pick you up at the station! Please specify when booking! We are happy to pick you up at the bus station! Please specify when booking! Search for flights to Innsbruck, Verona, Munich or Bergamo. 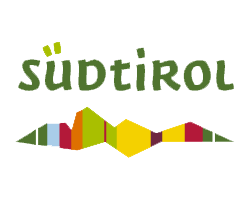 Direct bus service to South Tyrol with theSouth Tyrol bus.